Vancity Noms: Whole Foods - AMAZING CAKES! 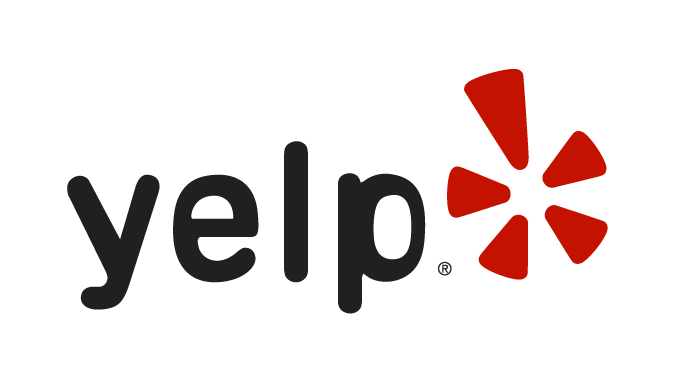 I mainly go to Whole Foods for their snacks,desserts, bakery items, lunch items and hot bar. For produce I usually go to Superstore or Crystal Mall haha. Sometimes they have sales on their produce though. On boxing day I got 5 organic avocados for $5! 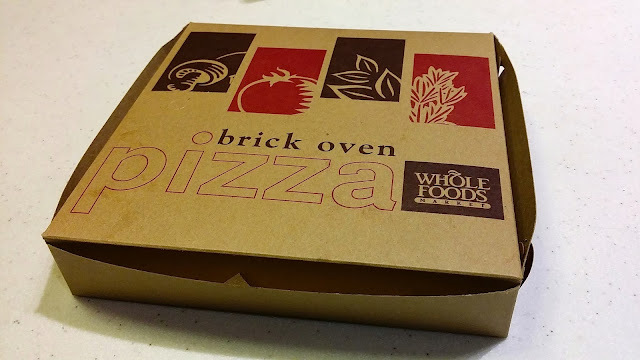 I've tried way too many items at Whole Foods to keep track of, especially their packaged snacks, but this post is mainly going to cover the items in their bakery and hot food section. I've never tried chia seeds before, but this definitely got me hooked! Apparently it has 8 times the Omega-3s found in fish! The drink itself tastes like blackberry juice, with the addition of chia seeds. It is a tad bit pricey at $4 a bottle, but I did feel more energized after consuming it! I'm contemplating about buying these in bulk haha. This is probably the best dessert I've tried at Whole Foods thus far. The cakes at whole foods are all made with fresh eggs, butter and cream, and you can definitely taste the difference! The cake itself is on a bed of graham crackers, topped with fresh fruit. 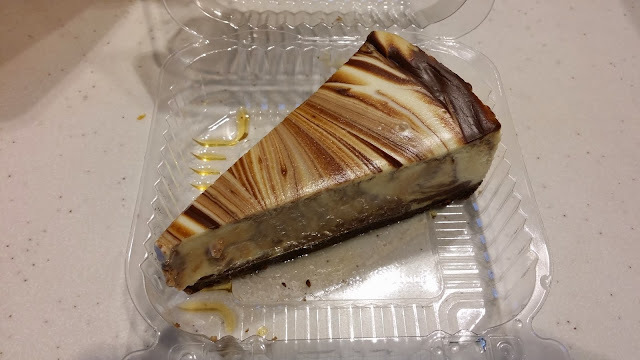 This is definitely a sweeter cheesecake, however with the cheese still being very prominent. The texture of the cake isn't heavy nor dense, it's very creamy and melts in your mouth. The cake itself consists of three layers, which is sandwiched between 2 layers of cream and fruit. The seasonal fruit that was in this cake were fresh blackberries and raspberries. I was pleasantly surprised by the texture/density of this cake! I wasn't expecting it to be so fluffy and soft!The cake had a distinct marzipan flavour, which added an unexpected kick. This cake had was the same consistency/texture of the Seasonal Fruit Chantilly. It was so light and fluffy it felt as if I was eating air. The cake itself wasn't very sweet and the coffee flavour was very subtle and had just a hint of rum. I absolutely adore the salad bar! It gets me to eat vegetables that I would otherwise look past at restaurants. I always load up on their organic kale because it's always fresh and crunchy! Their house dressing is what I always dress my salads with. I've been meaning to try their other dressings but just can't veer from my beloved house dressing! The filling of the pie tasted fresher than raspberries, which really impressed me. However, it just tasted too sour for my liking. I know Rhubarb is suppose to be sour, but I was expecting them to add a little more sugar to offset the sourness. As for the crust, it wasn't very flakey and was rather dry and a little stale. Whole Foods rarely disappoints me but this was a miss. 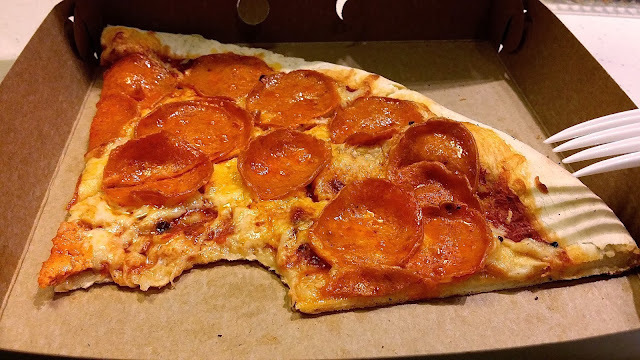 Whole Foods beats every conventional pizza chain for pepperoni pizza. It tastes just as good as artisan Pizza, which is pretty impressive for a grocery store. Since it's oven baked, the crust is infused with a smokey flavour, that elevates the pizza to another level. The pizza isn't oily, and the cheese was perfectly melted. The pepperoni pieces were crispy and very flavourful. So far I've loved every single thing I've tried at the hot bar! Notable items include: macaroni & cheese, teriyaki chicken, kale salad, vegetable pakoras, mash potatoes, and the lentil rice. Another must try: THEIR HOUSE SAUCE! I don't know what they put in there, but it's addicting. They sell bottles of it near the cold take home items. -Will burn a hole in your pocket if you don't practice self-control. Will I be back? I go every week!